Dr. Peter Arthur is Associate Professor of Political Science and International Development Studies. 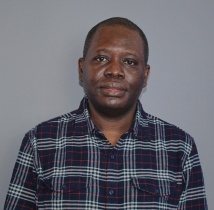 His research interests focuses on sub-Saharan Africa, with emphasis on the contribution of small-scale enterprises, electoral politics in Ghana, capacity development and post-conflict reconstruction, the governance of oil, and natural resources management. Arthur, Peter “Food security and food soverignty in Africa: The Issues, Challenges and Opportunities,”African Capacity Building Foundation (ACBF) Occasional Paper No. 17, Harare: Zimbabwe, 2012. Arthur, Peter, “Averting the Resource Curse in Ghana: Assessing the Options.” In Larry Swatuk & Matthew Schnurr (Eds), Natural Resources and Social Conflict: Towards Critical Environmental Security, London: Palgrave Macmillan, 2012, pp. 108-127. Arthur, Peter “Rethinking Development in Africa through Small and Medium-Scale Enterprises (SMEs),” in Tim Shaw, Kobena Hanson & George Kararach (Eds), Rethinking Development Challenges for Public Policy, London: Palgrave Macmillan, 2012, pp. 234- 259. Arthur, Peter “ECOWAS and Regional Peacekeeping in West Africa: Lessons for the Future,” Africa Today, 2010, 57, 2, pp. 3-24. Arthur, Peter “Democratic consolidation in Ghana: The role and contribution of state institutions, civil society and the media,” Commonwealth and Comparative Politics, 2010, vol. 48, No. 2, pp. 203-226.